As of this May, visitors to the Finnish capital will be served by Tourist Information at two new locations. Tourist Information will focus even more on digital services and face-to-face interactions. Other seasonal services for visitors will also begin at the start of May. 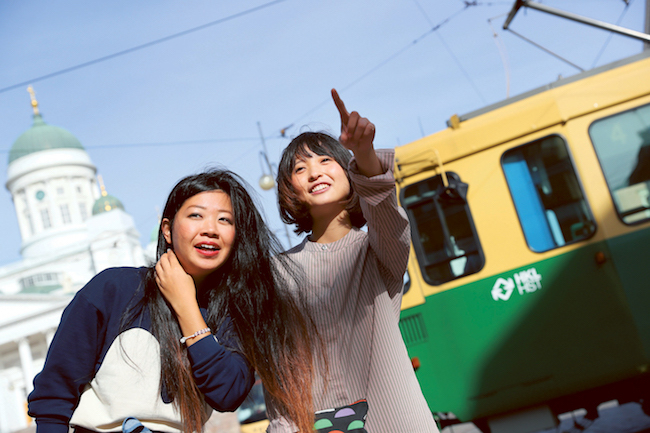 In addition to Helsinki Region Tourist Information at Helsinki Airport, tourist information services will be available at the Central Railway Station and inside Stockmann’s department store beginning this May. The main Tourist Information office that has been located for the past fifty years on the Esplanade will move to the ticket hall of the historic Central Railway Station. The current office on the corner of Pohjoisesplanadi and Unioninkatu will remain open as normal until Sunday 22 April. In addition to the new office at the Central Railway Station, a MyHelsinki service point will be set up inside Stockmann’s department store in the city centre. The new service point will offer digital services for finding information, as well as maps and brochures. The new locations will open in May. During the move, Tourist Information services will be available from Virka Info inside City Hall. “Visitors rely on the internet these days to search for information, so the needs for traditional tourist information services have changed. At the same time, personal recommendations and face-to-face interactions are still a vital part of the visitor experience. Our new locations will help us serve visitors even better in the places where they are most likely to have questions,” says Laura Aalto, CEO of Helsinki Marketing. Helsinki Marketing has taken major steps in the development of digital services for visitors. The award-winning MyHelsinki.fi website serves visitors in six languages, and all the content is based on local recommendations. In addition, services for Chinese visitors are also being developed in collaboration with Tencent, one of the world’s biggest digital service providers. Visitors to Helsinki in summertime are also served on the streets of the city by the Helsinki Helpers in their easily identifiable green jackets. This year they will begin their season already in May. In addition, tourist information will still be available in the historic centre of Helsinki during the summer season at the convenient Info Container by the Market Square. The Info Container will serve visitors next to the Havis Amanda fountain starting from Thursday 3 May. Following the move to the Central Railway Station, the Tourist Information premises on the Esplanade will be available to new tenants. The Tori Quarters commercial district is currently looking for a suitable business for the premises, which occupy a prime location in the historic city centre. “The Tourist Information office on the corner of Pohjoisesplanadi and Unioninkatu is without doubt one of the most attractive premises in the city centre. The location welcomes visitors coming from the Esplanade Park and Market Square to the historic Tori Quarters. We are looking for an attractive business that could further enhance the diverse offerings in the Tori Quarters for locals and visitors alike,” says Peggy Bauer, Operative Director for the Tori Quarters commercial district.